Last year, thanks to the tireless work of Catherine Corless, the world was made aware of the 796 babies that lay forgotten in Tuam. Those of us who have campaigned on these issues were on the one hand relieved that the world was finally taking notice, but on the other, we thought: ‘they don’t know the half of it’. In the case of deaths in the Magdalene Laundries, the Inter-Departmental Committee on the laundries (IDC) made sure we only knew the half of it. The McAleese Report acknowledges just over half of the 1,663 women (that we are aware of) who died in these institutions. Justice for Magdalenes (JFM, now JFM Research) was established on foot of serious questions raised by the late Mary Raftery about the exhumations at the former Magdalene Laundry at High Park. For our organisation and for survivors, the campaign was always as much about the dead as it was for the living. Unfortunately, the IDC Report did nothing to answer our questions or allay our concerns for those who died behind convent walls. Instead of answering questions on the serious issues surrounding deaths in Magdalene Laundries, Chapter 16 of the IDC Report gives exclusive attention to the religious orders’ version of events and completely ignores survivor testimony (both written and verbal) as well as substantial submissions from JFM raising concerns about the funeral and burial practices in Ireland’s Magdalene Laundries. Instead of affording respect to all women who died in the laundries by giving them the dignity of simply being counted, the IDC Report goes to extraordinary lengths to minimise the full extent of deaths behind laundry walls. To-date, JFMR has recorded the details of 1,663 women who died in Ireland’s Magdalene Laundries. We are aware of other women whose names and burial places we do not yet know and our work continues in trying to find them. This figure accounts for the women who died between the date that each laundry opened until the present day. Although we make an attempt below, it is impossible to produce a post-1922 figure from JFMR records to compare with the IDC’s findings because of the Report’s evasive presentation of the data. It is reprehensible that most of the issues which confound our attempt to understand the IDC Report’s data were completely avoidable. The IDC Report concedes that there were 879 deaths within Magdalene Laundries between 1922 and each laundry’s closure. It is quick to point out however that 35.9% of these deaths were so-called ‘legacy cases’ – women who entered the laundries prior to 6thDecember 1922 and remained after the foundation of the State. Put another way however, this tells us that 41.3% of the 762 ‘legacy cases’ died behind laundry walls and never saw the outside world again. Incredibly, and for reasons best known to the IDC, ‘legacy cases’ were not included in the Report’s statistics for levels of State involvement. Speaking plainly, the women entered the institutions when Ireland was under British rule and consequently the IDC disclaimed any responsibility for their fate, even after the foundation of the State. It is worth pointing out that this figure of 41.3% may well be higher. However we cannot be certain because in a move without a modicum of compassion, the IDC chose (without explanation) to exclude the deaths of women who remained institutionalised after the closure of each of the laundries. In fact, the Report fails to quantify any of these deaths. JFMR’s current records show that to-date, at least 249 women fall into this category. As part of its various submissions to the IDC, we included information gathered as part of the Magdalene Names Project, a JFM Research initiative which examines various archives and records, including gravestones, digitised census records, electoral registers, exhumation orders and newspaper archives. All of these materials were ignored in the IDC Report. In ignoring this research the IDC dismissed many women whose experiences reveal a very different reality to what was depicted by the committee. For example, JFM brought to the IDC’s attention 141 cases of women who were recorded in the 1901 and/or 1911 census and who died in the laundries. In contrast to the IDC’s assertion that most women spent less than a year confined, the majority of these women spent between 11 and 74 years in the laundries, but again, the IDC completely ignored this data. It is worth taking a moment to remember that behind these facts and figures are real women who lived and died in these institutions. Allow us to introduce you to just three of the women who were conveniently compartmentalised into the category of ‘legacy cases’ and ignored by the IDC. Alice K was twenty-nine years old when she was recorded in the 1911 Census for the Peacock Lane laundry in Cork. Her census entry states that she could read and write and that she was from Cork. Alice’s ‘occupation’ is recorded as ‘laundress’. On 26th November, 1961 an Alice O’K died and was interred in the Peacock Lane grave site at St Finbarr’s Cemetery in Cork. If this is the same woman who appeared in the 1911 Census, the data reveals that Alice spent a minimum of 50 years at Peacock Lane. At the age of twenty-eight, Agnes D appears in the 1901 Census record for High Park Laundry. Her record shows that she could read and write and that she was from Dublin. Agnes’s relationship to the head of the house is noted as ‘inmate’, while her ‘occupation’ is recorded as ‘laundress’. The 1911 Census was recorded differently at High Park, with only initials used for each woman. An ‘A. D.’ is recorded as aged thirty-four and from Dublin City. Her ‘occupation’ (like all others on the form) is recorded as ‘domestic’. An Agnes D is interred at the High Park burial site at Glasnevin Cemetery in Dublin. She died on 4th August, 1967. Agnes’s name does not appear on the exhumation licence and it is unclear whether or not she was one of those exhumed from High Park in 1993. If this is the same woman who appeared in the census records, Agnes spent at least 66 years at High Park. Maggie M is recorded in the 1911 Census for the Good Shepherd Laundry in Limerick. Maggie was just eighteen at the time, and the record shows she was from Carlow and could read and write. Her ‘occupation’ is noted as ‘laundress’. On 2nd December 1985, Margaret M died and was interred at the Good Shepherd Laundry site at Mount St Oliver Cemetery in Limerick. If this is the same woman, Maggie was confined for her entire adult life, a minimum of 74 years in the Good Shepherd Laundry in Limerick. 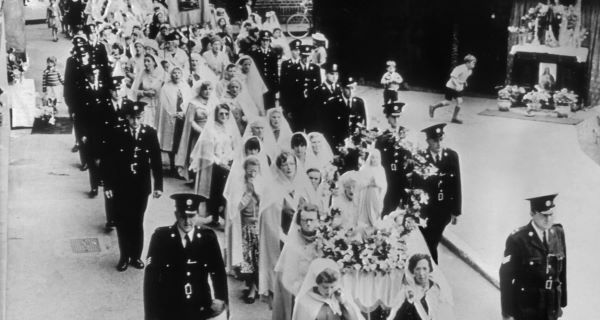 It is quite a spectacular failure that a committee tasked with establishing the ‘facts’ of State involvement with the Magdalene Laundries could not manage to produce a breakdown by institution of how many women entered each Magdalene Laundry, even after eighteen months with unparalleled access to the records of the religious orders. This absurd omission makes it impossible to calculate the mortality rate for each laundry. To make matters worse, the IDC Report also fails to offer a breakdown of how many women are buried at how many individual burial sites in either public or convent cemeteries. For example, in the case of the Good Shepherd laundry at Sunday’s Well in Cork, the Report states that there are two burial sites on the grounds of the former laundry. JFMR is aware of the location of one of these sites, but the Report offers no assistance in locating the other. The Report also provides a list of public cemeteries where there are plots maintained by the religious orders, but again it does not offer a breakdown of how many sites exist in each cemetery and how many women are in each plot. These elisions, along with the issues of unmarked graves and discrepancies on headstones make it difficult to establish the full extent to which deaths are excluded from the Report. And they make it particularly difficult to understand the burial practices of the Sisters of Our Lady of Charity, the order which is responsible for the exhumations at High Park. And, the IDC Report causes yet another obstacle by addressing laundries run by the Sisters of Mercy separately due to incomplete records. JFMR has analysed the available data for the remaining six laundries, eliminating laundries run by the Sisters of Mercy and the Sisters of Our Lady of Charity. For these six laundries, the IDC Report records a total of 507 women who died in the laundries from 1922 until each institution’s closure. JFMR records for these six laundries show a total of 689 women who died after 1922, which indicates that for these six laundries at least 182 women who died after the closure of the Magdalene Laundries are excluded from the IDC Report. The IDC Report completely ignores the issue of unmarked graves and in the section dealing with the High Park exhumations there is a brief but inadequate discussion of discrepancies on headstones. 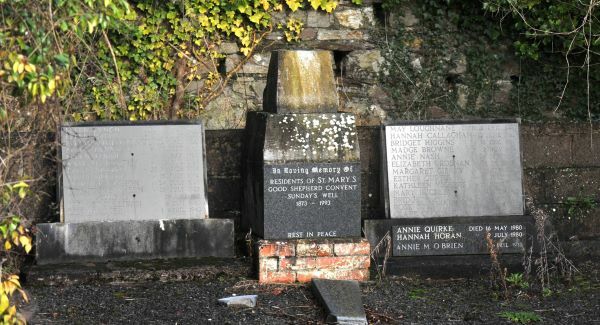 It is worth pointing out that, despite the IDC’s assertion that the Sisters of Our Lady of Charity were at ‘an advanced stage’ of rectifying the headstones, JFMR has established that just 10 new names have been added to the relevant gravestones since Mary Raftery’s investigation in 2003, but none of the new names match any of those on the exhumation licence. Hence the original errors remain and nobody in our government seems to have the courage to even attempt to persuade the Sisters of Our Lady of Charity to afford these women the dignity they deserve. The IDC report then, is cold comfort if one of these women happens to be your mother, sister or grandmother. For the relatives of Magdalene women, including adopted people whose mothers died in the Magdalene Laundries or remain institutionalised in nursing homes under the control of the religious orders, it is imperative that each woman’s final resting place is accurately recorded. At a bare minimum the dead deserve to be honoured and their living relatives deserve the right to pay their respects. Somebody’s mother, some child’s mother and some mother’s child. And it’s an awful thing to think. You wouldn’t do it to a dog what they did. That you go up and down with no name. 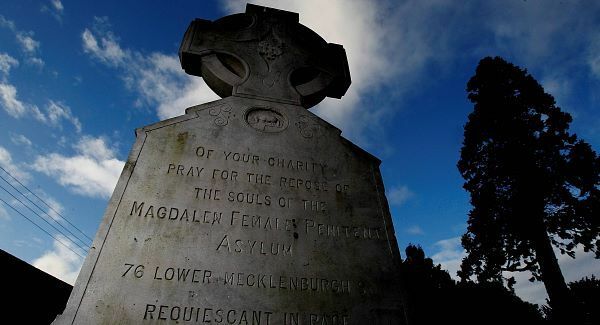 Magdalene children who were adopted come home; look for their parent’s grave and to find nothing – to find a grave with no name. It was our hope in JFM Research that the IDC Report would help to restore dignity to the women and girls who died behind laundry walls and that at the very least each woman would be accounted for. However, the Report leaves more questions than answers. The religious orders’ version of events is allowed to go unchallenged, while survivor testimony is completely ignored. The message from the IDC Report is clear: As far as church and State are concerned, the Magdalene women matter as little in death as they did in life. There is no redress scheme that can compensate those who have lost everything. If our government will not show courage, then it is up to us as citizens. Isn’t it always? The very least we can do for Alice, Agnes and Maggie and all the other women who lost their lives behind laundry walls is to ensure they are honoured. Find a Magdalene grave, lay a flower and take a moment to remember. Claire McGettrick is co-founder of JFM Research and co-ordinator of the Magdalene Names Project. This piece is adapted from a critique of Chapter 16 of the IDC Report. The extract from ‘Maisie’s’ testimony is shared with permission.